Everybody loves good ol’ regulation beer pong. But who doesn’t love to switch things up every once in awhile? This first amazing mini beer pong set for sale gives you the best of both worlds as you’ll still be playing beer pong, without having to haul around big equipment. 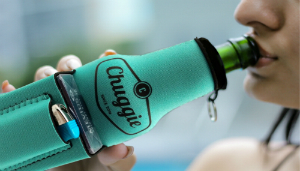 Take it on road trips, camping, or even to play at bars. Table top beer pong is easier to conceal and much more travel-friendly than regulation beer pong or jumbo beer pong games, that’s for sure! Attached ball = easier to clean and also no more chasing balls! 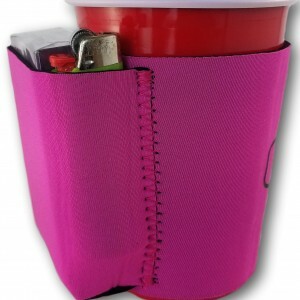 120 Mini Beer Pong Cups will keep you in business for a looong time! Although the tethered wire’s great, it can get in the way of the ball when you throw. 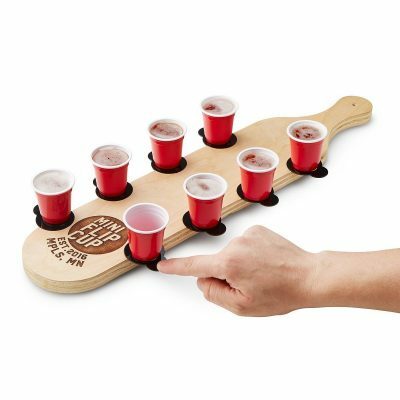 While you’ll see red beer pong cups in the picture, they do not come with this small beer pong set. Instead, just 25 clear cups come included with the price. Lastly, beer splashes out of the cups moreso than in standard beer pong games. 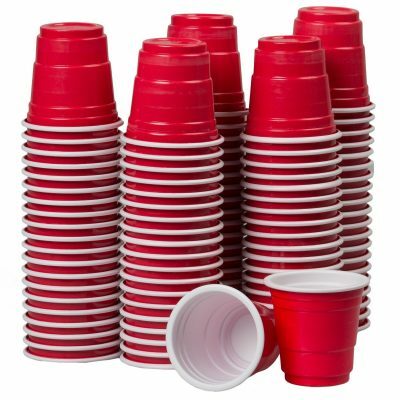 *Where to buy beer pong table, cups, and balls from Scienz: The cheapest price, of course, is through Amazon’s marketplace. However, Scienz also offers amazing custom engraving. This is only available through minibeerpong.com. Scienz’s Mini Flip Cup Beer Pong Game, otherwise known as “Flong,” is a slight twist on their mini beer pong game. 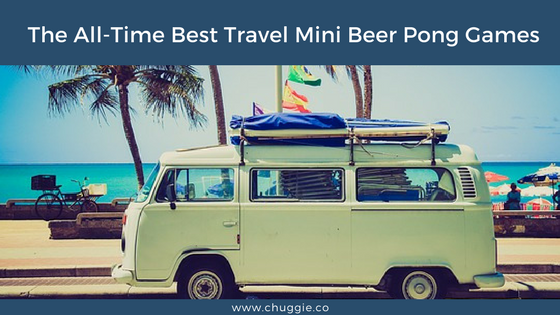 However, it’s still considered a travel beer pong set, is tons of fun, and will get you nice and tipsy. Handcrafted on American soil in Minneapolis, MN. Again, it’s hard to beat Scienz’s expert craftsmanship from domestically sourced wood. 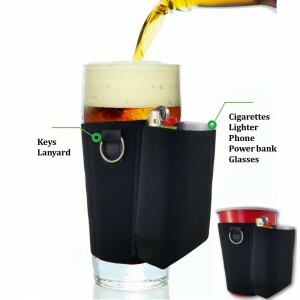 If you need a weeding, birthday, or shower gift for beer game lovers, look no further. Because you can have their names engraved and give them something they’ll always cherish. As always, Amazon has unbeatable deals. But if you’re looking for custom engraved names or sayings, go straight to minibeerpong.com. 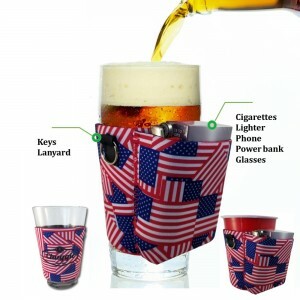 Get that perfect beer pong gift set you’ve been hunting for! Expect beer splashing all over the place! However, this is present to some degree in all of these mini beer pong sets. 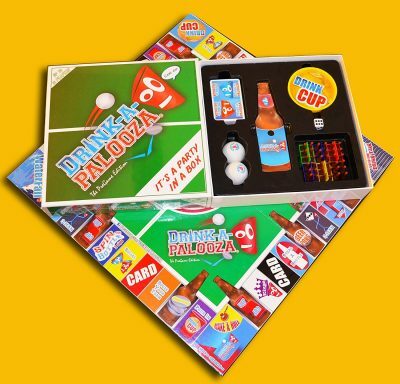 Drink-A-Palooza is regular travel beer pong sets on steroids! 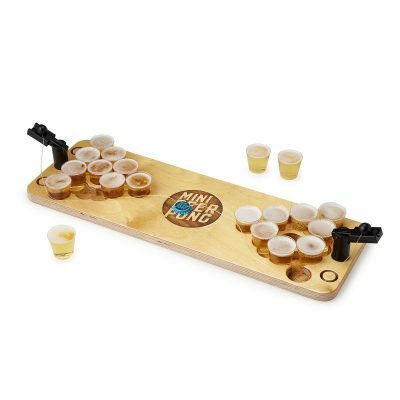 This is, of course, because it has the mini beer pong aspect but also includes other favorite college drinking game sets, as you can see in the name of the game alone. Drink-A-Palooza, the game with something for everyone. If you like Cards Against Humanity, you’ll love this twist on the regular travel beer pong sets. 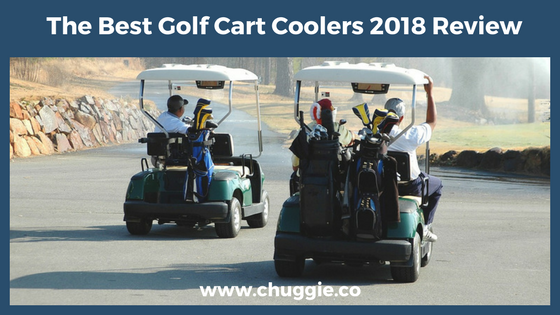 Whereas the previously mentioned travel beer pong sets or flip cup drinking game set allow 2-8 players, DAP accommodates up to 12 players at a time. Uniquely, there’s a little bit of every popular drinking game in DAP. So, someone who hates flip cup won’t get stuck playing something they don’t like; at least there are several other games in the mix! If you’re in need of some new pre-gaming ideas, this is the board game for you. If you have any doubts, check out DAP’s Amazon reviews; they’re almost 100% positive! Indeed, this crazy adult drinking game mixes together 5+ aspects of popular drinking games. 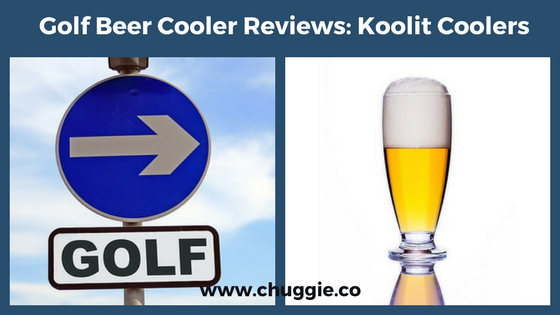 It comes as no surprise, then, that the rules are slightly more complicated plain mini beer pong or flip cup. That being said, it’s only a *slight* increase in complexity. Lastly, this isn’t a quick game – so make sure to plan enough time if you’re using it to pregame. 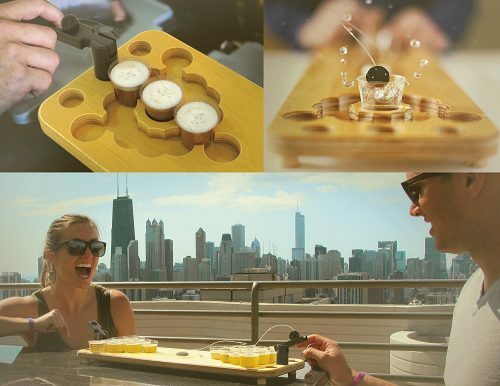 Whether you decide to go with one of the two travel beer pong sets, the mini flip cup beer pong game (“flong”), or you go out on an entirely new limb with Drink-A-Palooza, you’re sure to love these small versions of beer pong. Above all, have fun! 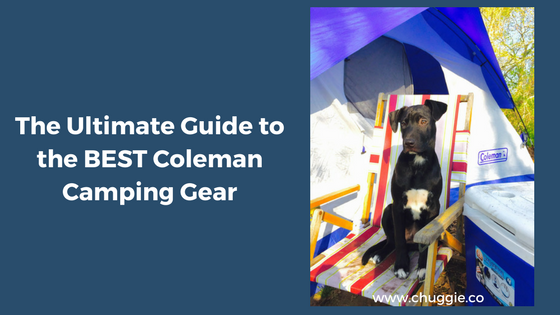 Lastly, don’t forget to check out our daily round up! Here’s our Daily Round Up – Enjoy!